The water supply for the Town of Antigonish and surrounding service area is the James River Watershed, which is protected under the James River Watershed Protected Water Area Regulations and encompasses an area of just less than 40 km2 (3915.6 hectares). The watershed has been designated as a Protected Water Area since October 25, 1988 and named as a public drinking water supply for the Town of Antigonish by the Nova Scotia Minister of the Environment. The Town owns 39 % of the watershed area, 59 % is owned by the Crown and 2 % of the area is privately owned. The James River Dam is an earth-filled concrete structure approximately 60 m long with an 18 m long overflow spillway which is 13.5 m high. The impoundment volume is approximately 117 ML. During dry summers, water conservation measures can be called into place if the level drops to 1m below the top of the dam. A new water treatment facility named the Brierly Brook Water Treatment Plant (BBWTP) with a 1.8 MGPD capacity was built and commissioned in 2006 in order to comply with the Municipal Drinking Water Standards. The plant utilizes DAF technology for chemically-assisted clarification and engineered media filtration followed by disinfection to achieve and exceed the required 3-log reduction credits for pathogenic protozoans Giardia and Cryptosporidium as well as 4-log reduction of viruses. The water distribution system includes 14 km of transmission mains, over 32 km of piping, as well as associated hydrants, valves and appurtenances. Piping is generally installed in the Town streets right-of-way and extended to the County fringe areas at eleven locations. Two storage tanks buffer the system against peak demand during the day. The Bethany tank is a 5.5 ML bolted steel tank constructed in 1980 and was cleaned and re-coated in 2000. The Brierly tank is a 3.6 ML gunite tank, constructed in 1980 and was re-coated and structurally strengthened between 2002 and 2003. Water testing is undertaken in accordance with and exceeding NSDOE Water Withdrawal Permit and Permit to Operate requirements. Routine tests are carried out every weekday at 3 locations around town, including tests for turbidity, chlorine residual and pH. In addition, samples are taken 2 days a week at the 3 distribution locations and at the BBWTP for aluminum residuals and bacteriology testing. Quarterly tests are also done for general chemistry analysis and THMs/HAAs, with the results forwarded to NSDOE. Water treatment complaints and/or interruptions in water service, such as a water main break, involves additional sampling as required. The Town of Antigonish has over 1600 operational water meters, with each meter size being assigned a base charge and rate based on the schedule seen below. Residential water meters are read quarterly, while the larger commercial accounts are read bimonthly. 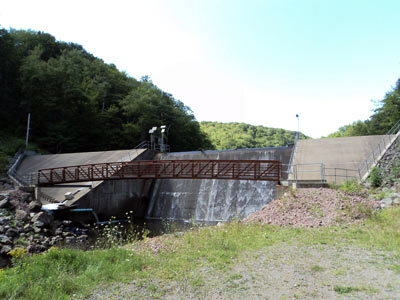 The property owner must also play a role in the protection of the Town’s water system. Customers of the Water Utility are reminded of the need of backflow prevention in their home to reduce the risk of cross contamination. It is the property owner’s responsibility to install and maintain backflow prevention devices. Backflow prevention devices prevent water from draining from your home in the event of a water break or during other periods of low flow such as hydrant flushing.